This month’s block was called Escalator. 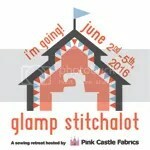 If you look at my compadres blocks at And Sew We Craft you’ll notice, as usual, mine is a bit of a departure. 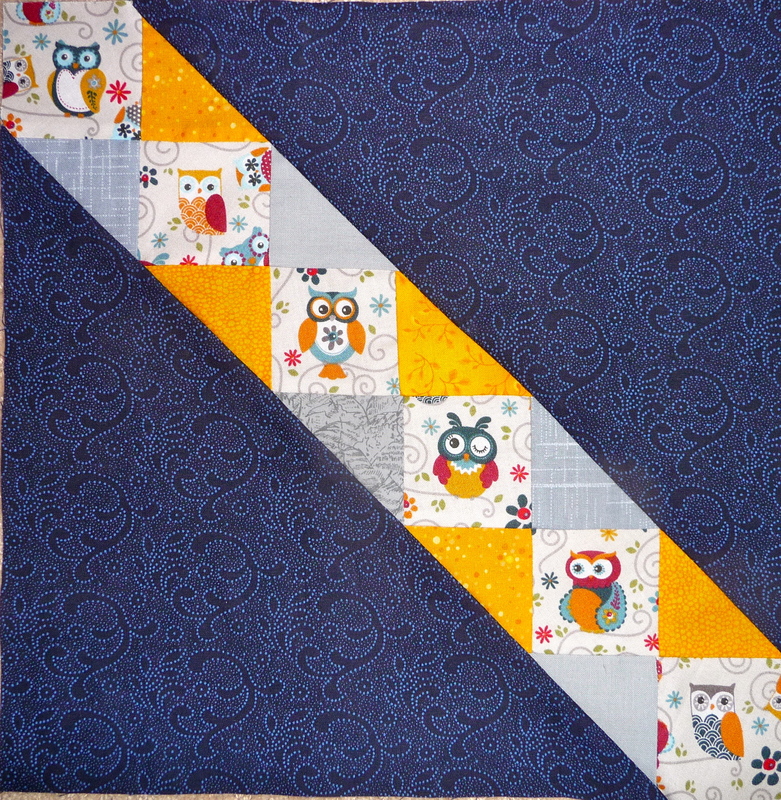 However, it does fit nicely with the rest of my Modern QAL blocks. 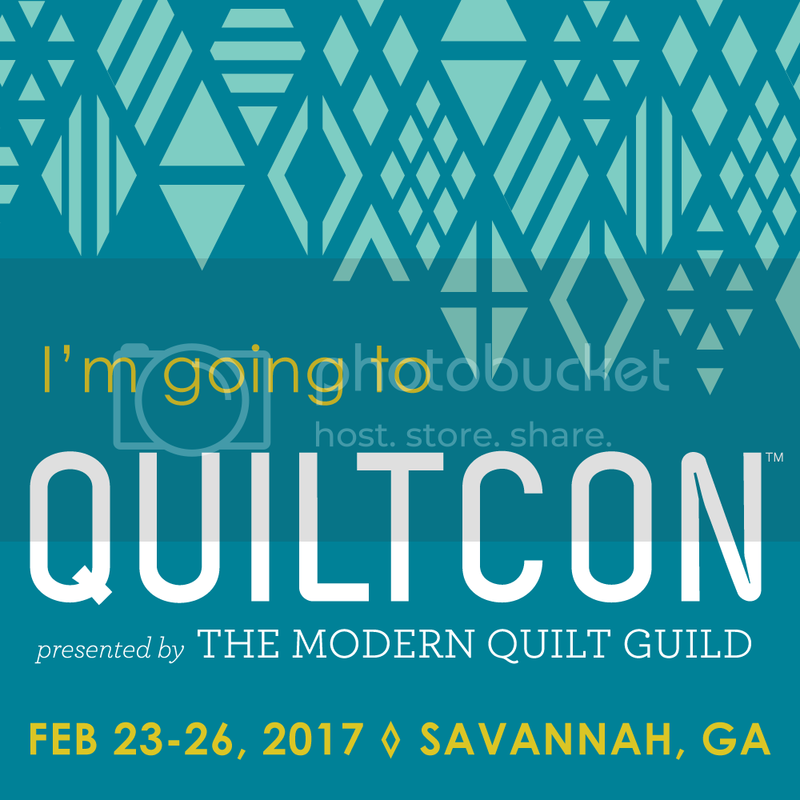 I got the little owl fabric at a vendor at the San Diego Quilt Show earlier this month. I made swiss cheese of my little fat eighth fussy cutting these guys but I think it was worth it. 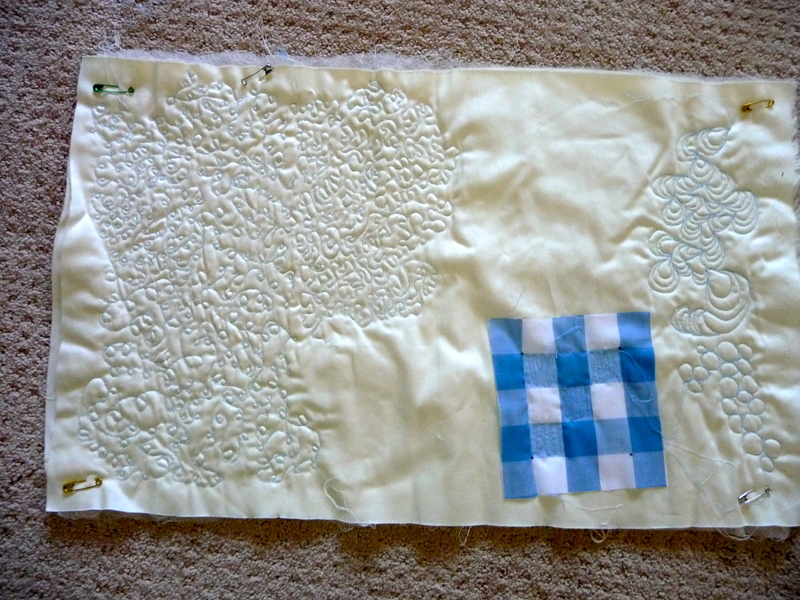 I am trying to decide how much quilting it really needs. 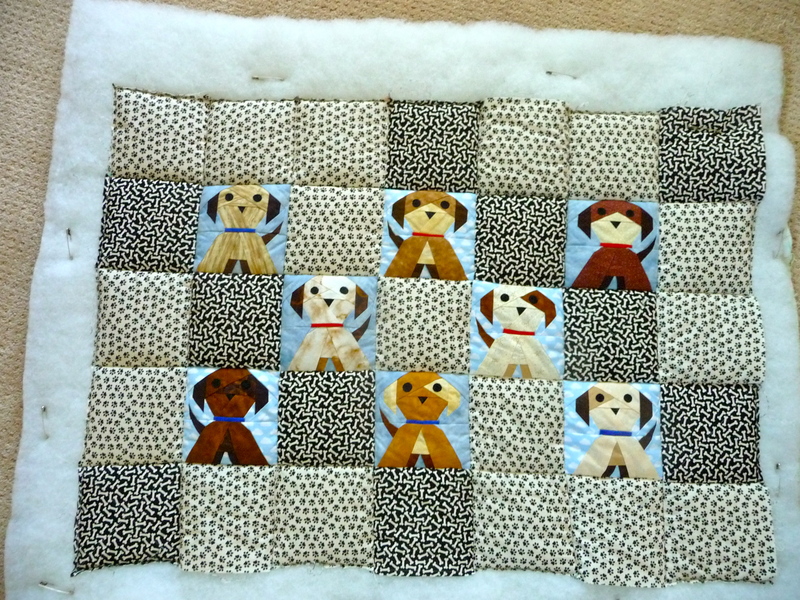 It has a lofty polyester batting (the Mr. wanted the pupster to have a more pillow like quilt) and it is a really bear to push and pull through the harp in my machine. 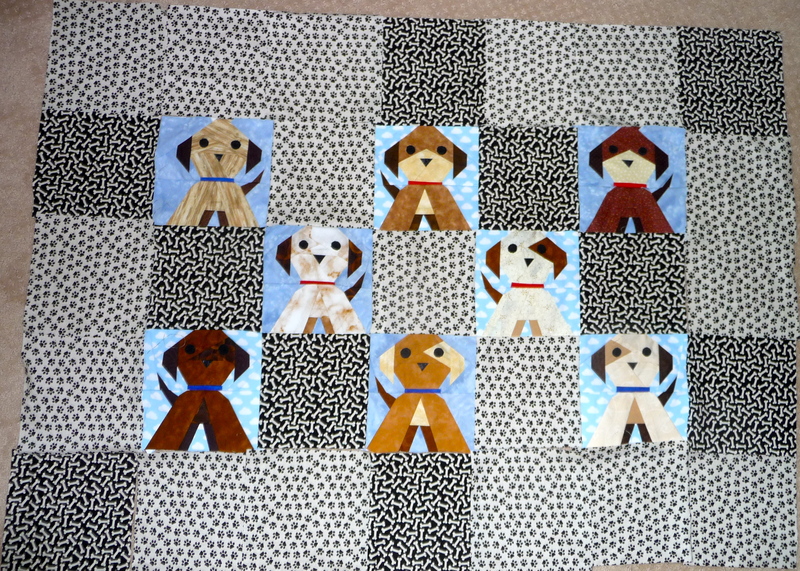 I had thought I might do an “x” in each non-puppy square and then free motion around each puppy but now I am thinking maybe not. As long as the batting is not going to move around I think maybe I am good with this…not sure yet. 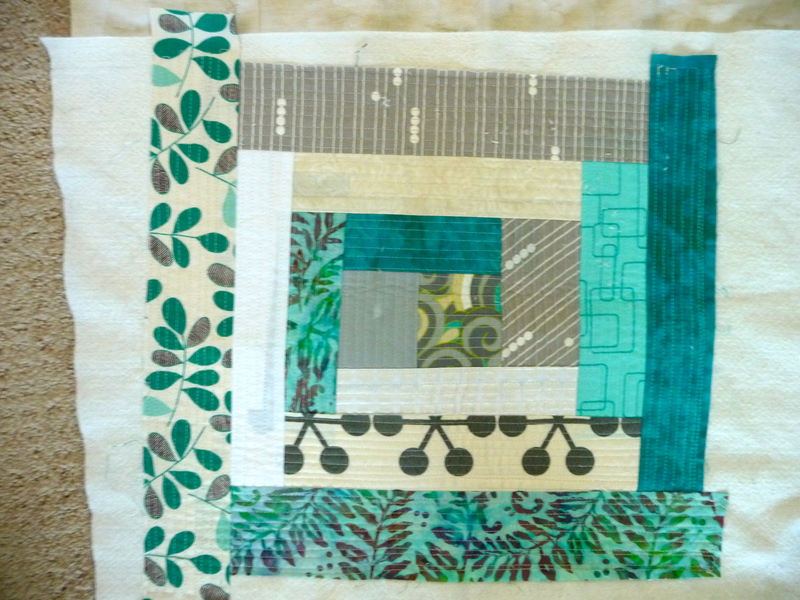 From a great Free Motion Quilting Class. That little masterpiece took me about 3 hours…granted there was a whole lot of teaching going on in there. More on that later. as a bit of a color study in a class with Amy Smart from the blog Diary of a Quilter (she actually did a pretty cool recap of the Fest here), it is becoming a pillow. I bought the very expensive cushy fabric for the back and the piping today. It has batting inside that holds in projects on the go. 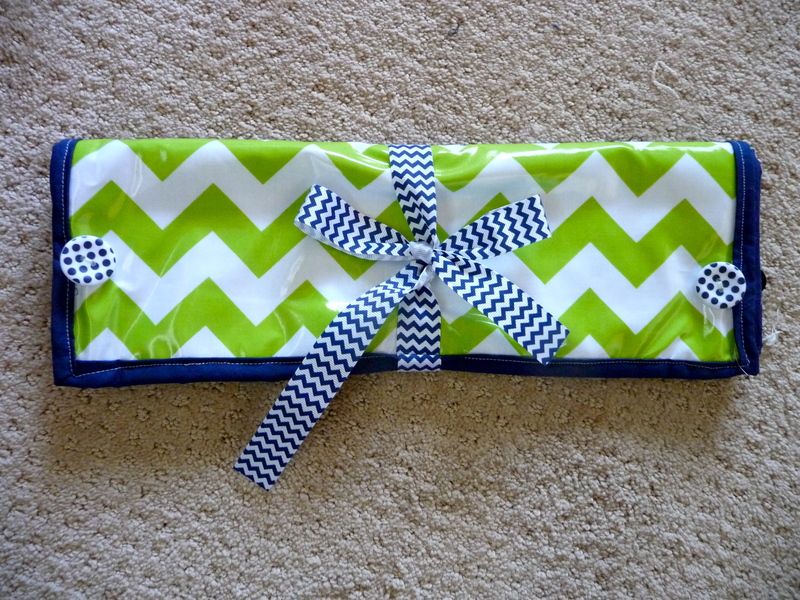 It is made out of a Riley Blake Chevron laminate and my first attempt at machine binding (no thank you, ugh). This is going to be an “extra” project. You know, when I feel like piecing but don’t have anything on hand that kind of thing. I fully expect this to to be one that is years in the making (however not the 23 years it took to finish my sisters quilt…which is done by the way but I don’t have any decent pictures of it yet). These blocks are like 4.5 inches each…perhaps I should blow them up a bit…nah. 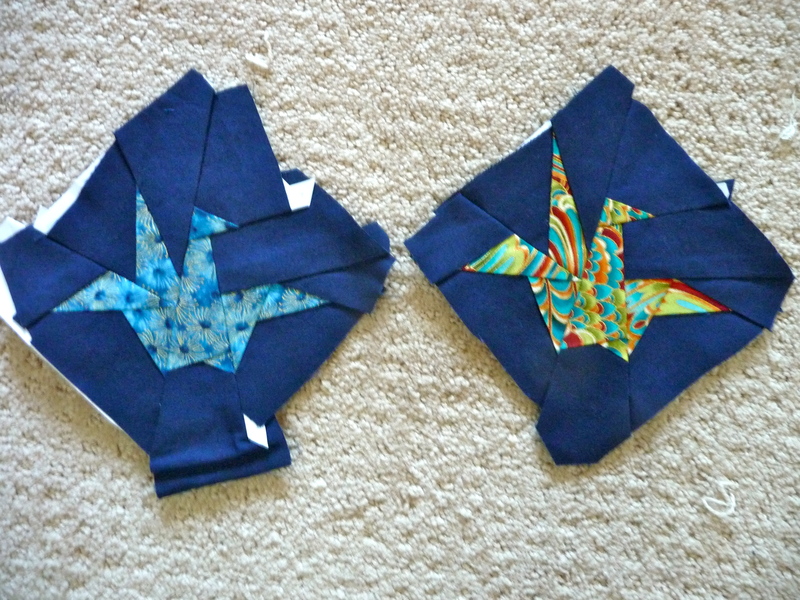 This entry was posted in Little Sewing Projects, modern Blocks Quilt A Long, Paper Piecing, Riley Blake Fabric Fest, Work-in-Progress and tagged Paper Piecing, Pieced Origami Cranes, puppy quilt, QAL, Riley Blake Fabric Fest, Work-in-Progress. Bookmark the permalink.